It’s that time of the year again. With November coming to a close, the holidays are coming up shortly, which means gift giving season is right around the corner. It is without an incredibly festive time of the year, complete with carefully decorated trees and upbeat Christmas tunes constantly playing on the radio, but sometimes finding the perfect gift for everyone can be a bit of a task. 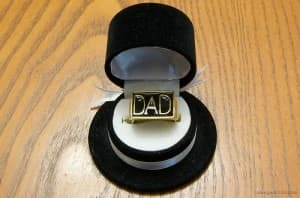 If you’re searching for the perfect gift for dad but are falling somewhat short on ideas, your search will soon be over. Undoubtedly, the best gift you can get dad is a new truck rack for his beloved pick up truck. He has always taken pride in his truck, so something that will improve this set of wheels will be perfect for him. A new truck rack will add style and authority to dad’s truck, which in turn will make him even more proud to be seen behind the wheel. Additionally, the truck rack will add value to the vehicle, making this further financial investment into Dad’s truck a wise gift. A significant reason to invest in a truck rack for dad’s pickup truck is safety. He’s always been a hard and diligent worker, which has often meant taking big amounts of cargo for longer hauls. Large cargo loads, however, can potentially smash into the rear window of the truck. This potentially can cause significant damage – to both the truck itself and any passengers. However, with the purchase of a truck rack, specifically a truck headache rack, this issue disappears and safety comes to the forefront when riding in Dad’s truck. The headache rack will prevent any damage that large and heavy amounts of cargo would potentially cause by slamming forward on a long haul. With these reasons in mind, it is easy to see why a truck rack is the perfect Christmas present for Dad. It will bring many valuable assets to Dad’s favorite set of wheels, including style, value, and safety. Dad will appreciate it. His truck will appreciate it. It will make for a perfect Christmas this year.